In 2015, I was hired by the City of Richmond and the Richmond Museum of History to fully restore the two upper quadrant wigwags located on Richmond Ave. in the historic Point Richmond District. We ran into a snag with the BNSF Railway and the project got stalled for three years. Those issues have finally been cleared up, and now we can get the wigwags restored so they can operate on special occasions. They will not be used to protect the crossing for trains since new crossing gates were installed back in 2004. 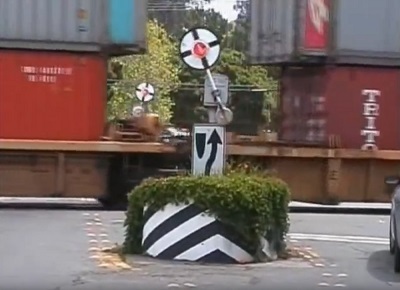 But they will remain where they've always been, in the Richmond Ave. median at the BNSF crossing. 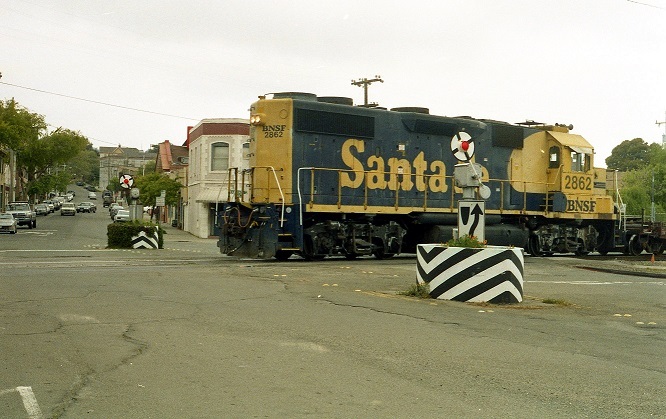 This is the only case I know of anywhere in the country where the old crossing signals were allowed to be kept in place after being retired in favor of new technology. 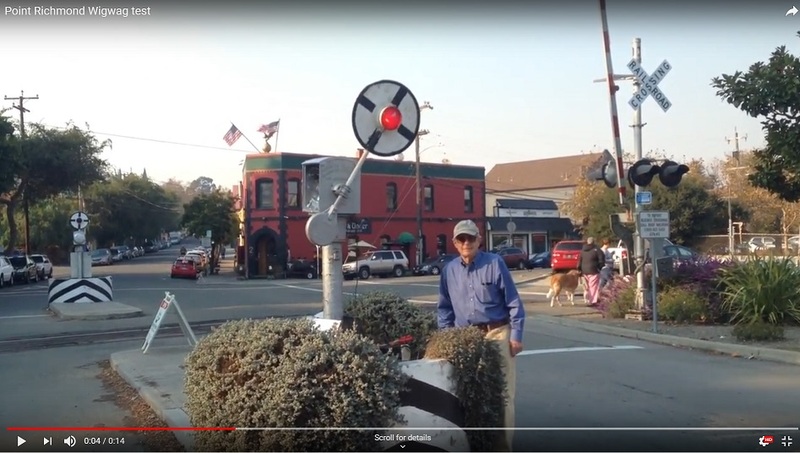 Quick history on the wigwags - These were once the most common type of automatic railroad crossing signal used in California from the mid 1920s through the 1940s. After the '40s, wigwags started disappearing rapidly, replaced by flashing light signals and crossing gates. 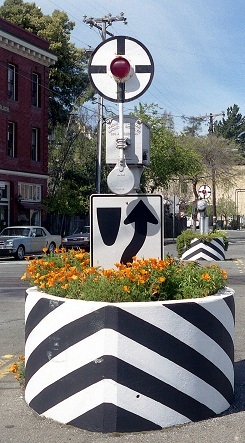 It's safe to say that the wigwags in Point Richmond were installed sometime between 1925 and 1940 (it was illegal to install new wigwags after the early 40s). Maybe some old photos of Point Richmond during this time period will show up. You can follow the restoration process in the pages that follow. I will create a new page for each step of the restoration. Break due to poor weather. YouTube video of first operation after the electrical components were rebuilt - 11/11/18. All text and photos (unless otherwise noted) by Dan Furtado.